The new Aira series by Roland provides virtually limitless possibilities in music making. With a digital interface easy to use even for beginners just setting up a home studio, these products are paving the way for a new form of instrument. The Roland System-1 Keyboard takes the industry by storm with some of the best aesthetic design we have seen on a piece of equipment since the Native Instruments Maschine . Very welcoming color coded buttons and flashing lights makes the equipment incredibly easy to read and shows responsiveness with every action you take. The System-1 is a two oscillator synth that’s capable of either monophonic play or up-to four voice polyphony. It’s layout will be pretty familiar to anyone who has ever used a synth before. The coolest feature of the System-1 is the Plug-Out option that allows you to switch between the System-1’s default mod and another that you’ve loaded on from your computer. 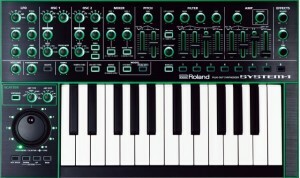 Nothing too special here, but another successor of Roland’s already perfect synth lineup. 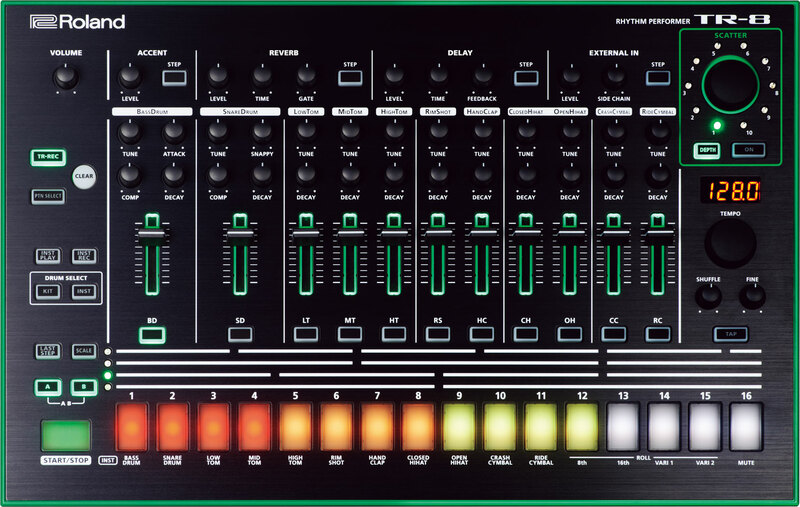 The Aira TR-8 is the successor of the classing Roland TR-808 and the Roland TR-909 rhythm sequencer and does everything they did and MORE. 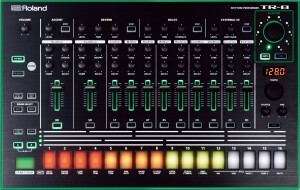 The machine includes 16 pads at the bottom with 16 faders on the top which are the main controls for each channel. The faders also control the machines delay, reverb, and other effects that come with the product. The new TR-8 also includes a new function called “scatter” which is basically some of the coolest beat mapping we have ever seen. The TR-8 is great if you actually want to play live digital drums instead of relooping 16 bars at a time on the computer. Fun and easy to use but sounds professional. 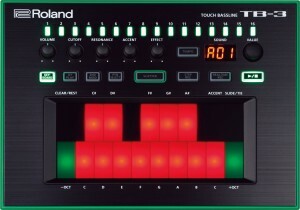 The answer to Roland’s lack of bass rythm in both of the above machines comes in the form of the small but powerful Roland Aira TB-3, a successor of the past of Roland’s bass sequencers, the TB-303, the new bass module now uses a touchscreen instead of keys, bringing Roland’s image into the 21st century a bit late, but always appreciated. The touchpad is used both for creating your bass sequences and adding effects like delay, decay, and compression. The TB-3 includes 4 banks of sounds which can be changed into virtually any sound you could ever dream of. 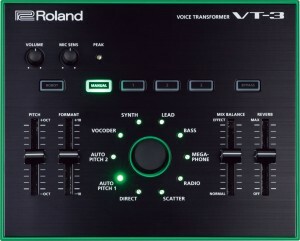 Last but not least, Roland introduces the Aira VT-3 a fun little gadget for voice transformation. The technology inside this thing is crazy, gives you some of the best sounding vocal modulation I have ever heard. Live and direct. no more recording and then adding the after effects. The machine includes 9 voice characters (vocoder, 2 different auto-tunes, a megaphone, etc. ), and then the option to affect the intensity. In short, this entire series would be awesome to play at a live set for professional sounding live mixing and beat creation. The live capabilities of all the machines working together would be really something to behold. Maybe if Roland wants to send a few over we can show you what these things are really capable of. We’ll see.